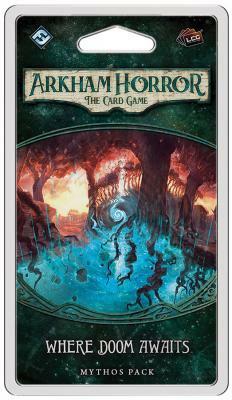 HomeCard GamesArkham Horror The Card GameWhere Doom Awaits Mythos Pack: Arkham Horror LCG Exp. Where Doom Awaits Mythos Pack: Arkham Horror LCG Exp. Fortunately, you won\'t find yourself wholly unprepared for the alien challenges these dimensional rifts represent. Twenty-eight player cards (two copies each of fourteen different cards) offer a range of solutions, provided you\'ve earned the experience points to add them to your deck.